I was always tired. I would run out of breath for all activities. Even tieing my sneakers was a difficult task. I couldn’t run. I was lazy. I was your typical couch potato. I did enjoy sports and dancing for fun but never wanted to do anything that would make me tired for too long. All I did was think about getting home to food or soda. My last relationship used to really enjoy pointing out my weight gain. He would say things like, “maybe you should stop eating,” or “babe, you’re getting big.” I got to the point where I was done with him and the comments. I became tired of being tired. I knew I could be better. I knew I deserved to live happier. I was too young to let my life go this way. I thought about my future. 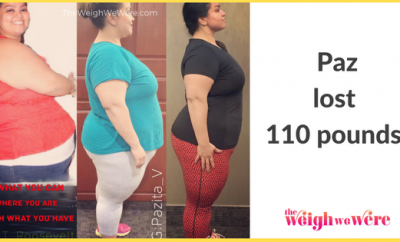 I began watching shows like The Biggest Loser or My 600 lb Life. My motivation and determination began to blossom. My brother was a member of a gym and would workout and eat clean religiously. I watched him transform as he grew stronger and that’s what I wanted. I spoke with him and my best friend about getting into the gym. Enough was enough. I was ready. When I joined, they just so happen to be having their own biggest loser challenge going on. It began January 2015. It was a 3 month challenge and I was ready to give anything a try. We were given meal plans and a trainer for motivation and to help with anything from workouts to grocery shopping. 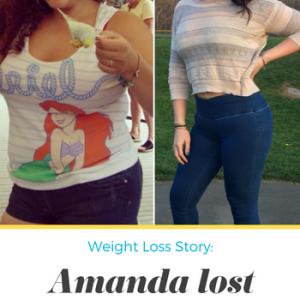 It was a hard transition, I slipped at times, but came to find out that I lost 22 lbs. I was not going to stop here. I lost 22 lbs in the first 3 months that I started. From there on it was game time. 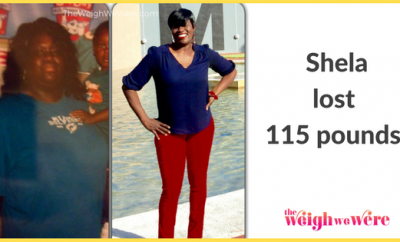 I started with no carbs, alcohol, or sugar for months! Week by week I was dropping 3-5 lbs because I was also working out 5x per week for at least 1-2 hours. My best friend and my brother were the 2 that really helped me continue my journey. My best friend was with me every single day to workout. 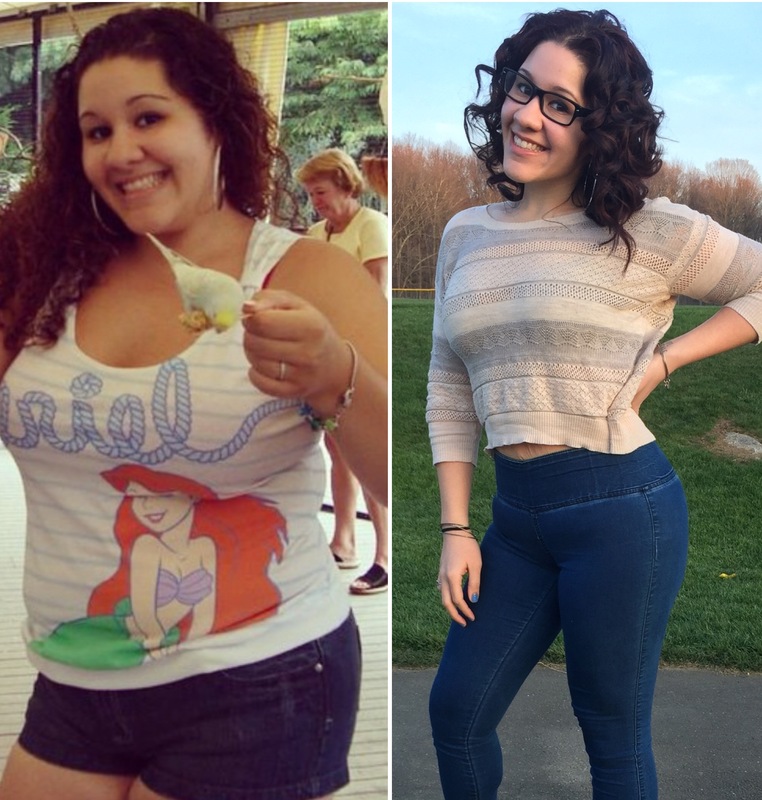 She was also inspired to become fit. We helped one another stay on track. We cooked and ate together. We reminded each other what we could and could not eat. If one of us began to slip, the other one was always there to snap us back to reality and get back on track. I owe Nina big time. She was one of my biggest helps. I’ve hit a plateau about 3 times since I began my journey. I’m currently plateaued right now but I’m okay with it because I now know how to get out of it. The other couple times I would switch up my eating habits and/or workouts. I would shock my body with a new class at the gym or eat a specific menu for a couple days until I’d see a change. It took about 7 months of complete focus and determination. I couldn’t give up. I didn’t have a choice at that moment. My biggest victory was being able to run for longer than 10 mins. In high school, it took me almost 30 mins to run the mile. It now takes me less than 10. My next victory will be in June when I will be heading over to New Jersey for my first Spartan race! I eat high protein low carb. On a typical day I’ll have about 5 eggs with turkey sausage and a slice of low carb toast with coffee or a SMALL glass of orange juice. I’ll have a banana for a snack about 2 hours later. Lunch is usually some type of meat with steamed veggies and avocado with water and a protein bar. Drinking water all day is crucial. I’ll have another fruit or shake about 3 hours or so later. 2 hours after that I hit the gym. Dinner is usually chicken, fish or eggs with a veggie. If I get hungry before bed ill snack on some deli meats or a little fat free whip cream. I just began adding brown rice to my lunches this month. 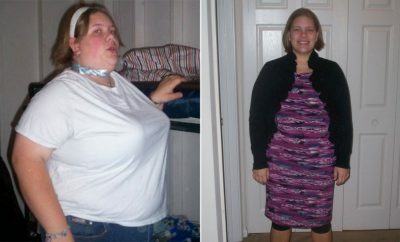 RELATED: Real Weight Loss Success Stories: Kelle Shed 130 Pounds And Loves Being Called Skinny! I can do so much! Tieing my sneakers without running out of breath or having to break my back from being hunched over is no longer a problem. I always have energy. I look forward to the gym. I love walking, running, dancing.. I’m just happier. Reward yourself. Don’t be afraid to give in. Don’t think you can’t have a bad snack or a beer every once in a while but make them rewards for yourself. For example, I LOVE pizza, in the beginning, I told myself no pizza until I lost 15 lbs. Once I hit that goal, it was time for some cheesy pies. If you have a sweet tooth like me, I like to freeze cool whip and eat it like vanilla ice cream. It really helps with cravings. Always stay away from the “white” foods like rice, pasta, potates, and bread. They are filled with carbs and chemicals that you do not need. Try switching over to whole grains and wheat to keep you hungry longer. Some places sell low carb breads, wraps, and pastas. Check online if you can’t find any in your local supermarket. Sweet and blue potatoes are great for you and they’re super delicious. Peanut butter will be your best friend. In the beginning it was my favorite snack when is get hungry. Whenever I would eat, if I became hungry too soon, I would eat a spoon or 2 of peanut butter with a bottle of water and that would keep me full until it was time to eat again. It tastes great on top of a banana with a glass of skim or almond milk and makes for a great breakfast. It’s also really good before bed, it expands in the tummy and helps you stay full while you count your Z’s. Water, water, water! It helps you in so many ways. It’s so important to remain hydrated. The benefits to drinking water is endless but it can also help you stay full or curve a craving.